When Part I of Philip Pullman’s His Dark Materials ran in Oxford last year, I was left utterly spellbound. Enchanted by this adaptation of one of my favourite novels, I had high expectations for its sequel when I went to the press preview. I was not disappointed: witnessing the entire cast at work, even in a small rehearsal show, assured me at once that I was in for a treat. Furthermore, director Laura Cull assured me that (despite being a second part of a series) the play is a stand-alone story. The previous part’s events are to be summarised at the beginning of the night, so any newcomers to the series are encouraged to come along! After a warm up, the cast sprang into action: launching into their first scene at Laura’s prompting. Watching Laura at work truly demonstrated the magnitude of a director’s role in such a show: overseeing the rehearsals, keeping everyone on the same page (quite literally, as she followed with her battered copy of the script), and managing to keep me in the loop. The play has been adapted primarily from the 2004 production by the National Theatre, with close reference to the novel in order to provide a credible depth to each character’s motivations in a scene. I was struck particularly by their research into the dragonfly-mounted Gallivespians, and by the thought that has gone into their created character: Brother Jasper (Jack Sutton), a pawn of the malicious Church, whose beaver-dæmon alludes to his unconventional status as a “villain”. It is this careful attention to the internal, emotional conflicts of characters that brought so much power to the scenes between Mrs Coulter (Robyn Murphy) and Lord Asriel (Tom Fawcett). It was immediately obvious to me upon watching these few scenes that the play is evolving from its single-character perspective into a more complex work. 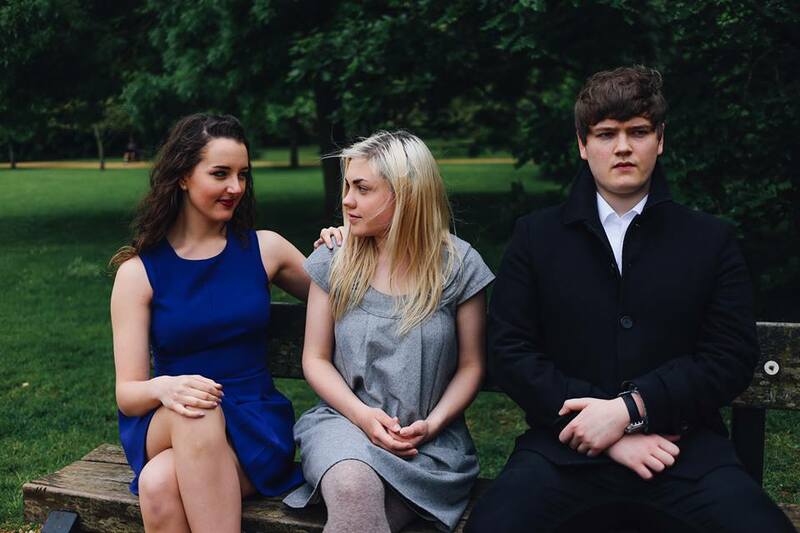 Rather than alternately following the adventures of Lyra (Becky Lenihan), Will (Greg Coates), then Lyra and Will together, this part of the story appears to have managed to develop the adult characters, with the result that their performances are now utterly riveting, convincing, and charged with the emotional significance that are now equal to the challenges facing the young protagonists. It seems that the two relationships, that of Lyra and Will, and Lord Asriel and Mrs Coulter, will act as mirroring focal points that will carry forward their stories to a single, explosive conclusion. Again, I was impressed by the use of dæmon-counterparts to draw out the subtler aspects of the conflicts I was shown. These animal companion characters act as representations of their human characters, by exposing their hidden motivations. In this, Toby Deakin (Lyra’s dæmon, Pantalaimon), James Soulsby (Mrs Coulter’s unnamed dæmon, a golden monkey), and Ariane Laurent-Smith (Lord Asrael’s dæmon, Stelmaria) demonstrated their abilities to bring out the unique merging of human and animal natures in their characters, using only their bodies and a few beautifully designed props. With their human counterparts dancing around one another in a tangled argument fuelled with emotional and political ambitions, the dæmons are at liberty to show the true “heart” of the contest: boiling everything down into a simpler, primal challenge of two souls at war. Unexpectedly, light-hearted comedy is also to be found, in the unlikely setting of the Land of the Dead, where clerics joke about queues and people are eerily comfortable hanging out with their own deaths. Confused? Come along and see for yourself. The range of emotions covered in the few snippets I’ve seen were honestly impressive, as we jumped from the anger and misery of Will’s grief, to the jokey banter of those living customers waiting to die. On top of this are the haunting angels with their flat, unhurried voices housed in uncanny human forms, the deep gravelly panserbjørne marked with polar bear heads and claws, the busy loftiness of the witches, the harsh efficiency of the human agents of both Asriel’s army and the Church, and those quick, sharp, tiny Gallivespian agents. The breadth of the characters being supported by a cast of twenty three actors is simply remarkable and I look forward to seeing them at work on the opening night. The commitment that each of these players gave to each of their roles brought each scene into life, leaving me itching to see the full performance. The preview has left me convinced that the combination of an energetic cast, devoted and respected director, and excellent props and staging crew will transport us back into the multi-universe realm of Pullman’s His Dark Materials, into a fresh reshaping of a well-loved story. 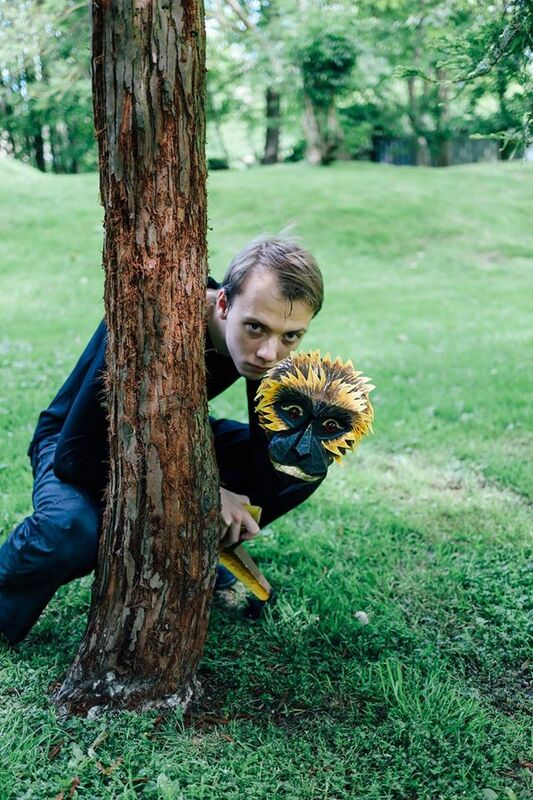 ‘His Dark Materials II’ runs at the Keble O’Reilly Theatre, 3rd-6th June. The Facebook event has updates on the show, and tickets can be bought here. For more information and behind the scenes footage, please visit the Facebook page.